This case has been going on for over a decade. The Human Rights Commission received four complaints from people stating that the flyers were hate literature and unfairly targeted them because of their sexual orientation. 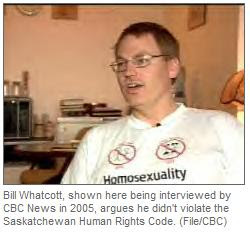 In February, the Saskatchewan Court of Appeal ruled that the pamphlets didn't violate the Saskatchewan Human Rights Code because it was protected under freedom of expression.